Everyone wants to know how to get the most from an auxiliary engine, so we asked for recommendations from five individuals who are unquestionably experts on the subject. 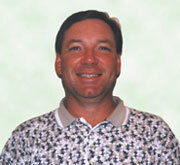 Thomas Williams, general manager of Engine Distributors, Inc., represents John Deere. Todd Browne, of Perkins Power Corp., is a master distributor for Perkins engines, as well as manager of service and warranty for the Southeast region of the US. 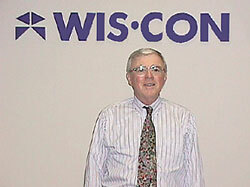 John Henry is director of operations for Wis-Con Total Power Corporation, and is an expert on Wisconsin engines. 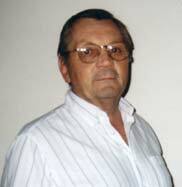 Ralph Metcalf is Operating Manager of Service and Parts Operations, AIMI Powertrain Division at Isuzu. Tommy Smith is director of manufacturing for Taylor Power, Inc., a distributor for both Perkins and Isuzu engines. WORLD SWEEPER: What are the most important things an owner can do to increase the usable life of a sweeper's auxiliary engine? Thomas Williams: In my opinion, preventive maintenance should begin with the delivery of the sweeper. Make certain you receive an operating manual and warranty registration documents. In the event of a service-related problem, those two items can save a lot of time and cut through a lot of hassles for whoever is involved - be it the shop individual or the user. After you get that manual, don't just stick it aside. Take a few minutes to read and become familiarized with it. Learn about the service requirements of the engine - the correct oil, fuel, filters, belts and coolant to use. In some cases on John Deere engines, a certain type of replacement radiator cap is even specified (a 10 PSI cap for emission-certified John Deere Power Tech engines or a 7 PSI for previous models) to make sure your radiator won't leak. After that, there's the normal prevention steps to keep up with, things like servicing the filters and taking note of the belts - checking them for cracks or missing teeth, seeing if there's a groove missing, etc. The intervals for those types of checks is partly determined by operating conditions - the amount of time the engine is being used and the environment it's operated in. Tommy Smith: My advice for increasing engine life? Maintenance, maintenance, maintenance. Get out there every day and check the oil and the coolant, and check for any loose hoses, belts, or anything else that's loose in any way, before your operator ever fires the engine off. And service the unit according the manufacturer's specifications. It varies from one manufacturer to another, but somewhere between 200-300 hours, perform your routine services - change the oil and the filters. You need to look at the engine before you start it, then look at it again while it's running. If something is loose, you'll see it shaking. This routine can be especially important on an air sweeper, because sometimes the blades get damaged on their centrifugal fans. If that happens, things get out of balance and it causes the entire machine to vibrate, which could shake certain items loose. John Henry: I'll speak to air-cooled engines, since that's what we specialize in at Wisconsin. There's less maintenance on them, and so they're easier to take care of, because you don't have radiators and hoses to deal with. Instead of having to maintain your coolant system properly, you just need to make sure your fins are never clogged up and the fan doesn't ever become blocked. Always make sure you have adequate cooling capability - cooling air able to come in and exhaust air out. Ralph Metcalf: A sweeper, by its very nature, operates in a harsh work environment - dust and dirt. Given that, I think the most important factors are the maintenance of the air and oil filters. I emphasize correct service on the air cleaner. You must have a good maintenance program that services filters and inspects the integrity of the intake system itself. Most of the trouble we see comes from dirt getting into the engine. Todd Browne: A primary concern with any engine is keeping it clean and dry, meaning there's no water getting into the fuel. Equally important is keeping clean air going into the engine. In my experience, the two biggest mistakes people in the sweeping industry tend to make are failing to check the fuel tank periodically to see if it has accumulated water, and over-servicing their air filters. WORLD SWEEPER: Let's talk about air filters. What specifically do you mean by over-servicing? Todd Browne: When you pull an air filter out for a routine check, invariably some dirt will get into the intake system - more than a properly fitted air cleaner would have ever let in. Because of this, you want to minimize the times you clean the air cleaner, yet not compromise the cleanliness of the air entering the engine. The best safeguard against this is to have a service indicator installed between the intake manifold and the air cleaner. When the service indicator shows that it needs an element changed, that's when you do it. Not before. Then, when you remove the air cleaner element, it's quite important that it's done correctly. Carefully wipe the inside of the housing with a damp rag to remove any dust or dirt, then seat the new element squarely and reinstall the air filter cap. At the same time, a service check should be made on the air intake hose or piping, making sure all connections are tight, that the hose clamps are as they should be, and that there are no splits, holes, or cracks in any rubber hosing or rubber elbows. The cleaner the air going into the engine, the longer the engine's going to last. That's why I strongly recommend against pulling an element, blowing it out and putting it back in. I'd also recommend against using generic brand filters. You might save a few bucks, but it might also be a real poor gamble. On the Perkins engines, they're using Donaldson brand air filters for a reason - because they meet the original equipment specifications. Tommy Smith: I agree. Do not pull the air cleaner out on a daily basis to check it. I also recommend that you only service the air cleaner system on your auxiliary engine based on the restriction indicator. If the unit doesn't have a restriction indicator on it, buy one - they're inexpensive. If you take the air filter in and out every day, you run the risk of damaging the seals and letting some dust get into the engine. Anyway, an air filter tends to work better when it has a little dust on it. When you do need to change the air filter, there are some things you should pay close attention to as you pull it out. Look to see if there is any pattern of dust getting past the seal where the filter seats onto its housing. And make sure that there are no gaps anywhere. If it has been leaking, you can see it. Dust is the worst enemy of any engine, especially on a sweeper, because a lot of dust is generated during operation. When you pull the filter out from the inside of its housing, look inside before you clean anything. You should be able to see if any dust has gone by the seal of the air filter. A lot of times, if the air filter has not been seated properly, you can see where air has been escaping around the seal. Only then should you pull the air filter out, wipe the housing down with a damp rag, and inspect the surface the seal goes against to make sure it's clean and smooth. Then, when you install the new filter, make sure the seal is in good condition, and that the air filter seats properly against its sealing surface and is tightly held in place. On some applications, there is a wing nut that holds the air filter in place. That wing nut has a rubber gasket on it that makes a seal and keeps dirt from getting into the engine. I've seen people lose or strip the wing nut, then grab a regular nut and a flat washer to replace it. If you do that, there is no seal and the dust goes right on by. Then you're looking at trouble. WORLD SWEEPER:Let's talk a bit about the oil and lubrication system. Also, are there any opinions on additives? Ralph Metcalf: Obviously, change oil and filters at recommended intervals. They are designed not because the lubricating quality of the oil is going to wear out, but because the additive packages - like detergents and such - wear out. When those additive packages are gone, the carbon clings to the parts it's supposed to be lubricating and cleaning, instead of being suspended in the oil and caught by the filter. Carbon is abrasive, and carbon buildup causes a reduction in clearances. For instance, your rings won't seal like they should, and you could have a loss of compression and/or an increase in oil consumption. Todd Browne: If you use oil that meets your engine's stated service requirements, you shouldn't need oil additives. At least Perkins doesn't say you need them, and I'm not aware of any other engine manufacturers that do. They don't say you can't use them, but there are some additives on the market I sure wonder about. Of course, the people who make them will tell you they are the greatest. I'm a firm believer in changing the oil on schedule, and there's nothing like changing the oil filter to get the contaminants out. I definitely wouldn't use any type of oil additive during the first 100 to 200 hours of engine life. It just makes things too slippery. In the early life of the engine, any additive may provide too slick a surface for all the parts to fully bed in. I don't know if it would void your warranty, but if the engine suffered damage and they could relate it back to using an oil additive that wasn't proper, well, that would be a judgment call, case by case. Tommy Smith: All engine manufacturers have an oil recommendation - generally a certain API code - and they also recommend a certain weight of oil. There are very few engine manufacturers, if any, that recommend synthetic oils or any other additives. If you use good quality oil per the engine manufacturer's recommendation, and change it when you're supposed to, your engine lubrication will be fine. Keep in mind that because the engine's on a sweeper, the oil is going to get dirty quicker than an engine running in the basement of a building. Because it's being operated in such a dusty environment, it will just naturally draw in some dust. The other thing is to make sure that all openings, such as the oil filler cap, are sealed up tight. Make sure that the dipstick is pushed down into the hole. If the dipstick is left even a little bit out, dust can get down in the engine and contaminate the oil. WORLD SWEEPER:Are there tests or kits to help you figure out if anything is ready to go wrong, before it actually does fail? Thomas Williams: One thing a person can do that is fairly convenient and relatively inexpensive (under $15), is to take samplings on both the engine oil and the engine coolant. Different manufacturers offer different kits. John Deere has a kit called Oil Scan for oil, and another kit called Cool Scan for engine coolant. You mail in your samplings and get back a report that gives you an idea of the integrity of the oil or the coolant. For example, if a certain type of metal starts showing up in the oil, it could indicate internal parts are starting to wear or fail. The coolant sampling will tell you if the additives are in proper balance and condition. Those two things would go a long way as an early warning system. It's almost like giving your engine an annual checkup. WORLD SWEEPER: What should be noted about the cooling system? Todd Browne: An important maintenance consideration, and one that can be easily overlooked, is the engine coolant. If it were my personal engine, I'd go down to the supermarket and buy gallons of distilled water for use in the engine. Some areas of the country have high mineral deposits, and some areas don't, and the minerals can definitely be a factor in the coolant system. The way to eliminate the guesswork is to use distilled or mineral-free water. Then, at least a 50-50 mixture of ethylene glycol antifreeze needs to be used, depending on your location in the country. A surprising number of people don't know to mix the water and ethylene glycol ahead of time, rather than mixing it in the engine. That way you end up with a more accurate mixture. Otherwise, you have to make sure you can add the exact amount of water and still have room for the right amount of antifreeze without running out of radiator space before you get to at least a 50-50 mixture. With many engines, the cooling system has to be filled slowly so the air will rise to the top and come out the top of the radiator as you're filling. If you try to fill the radiator too fast, you'll invariably trap air in the cooling system. If an air bubble gets trapped, it'll move around inside the engine or get stuck somewhere and create a hot spot. Even though the radiator might appear to be topped up and fine, you could have a spot somewhere in the back of the head that's overheating because it has an air bubble trapped in it. After the initial fill, don't just forget about the coolant for the next five years. Change your coolant depending on hours of usage per year, or at least every two years, because the additives in the ethylene glycol wear out. The recommended hours are usually indicated in the manual that comes with each engine. Ralph Metcalf: Another key maintenance item is cleaning out the radiator. All of the water-cooled engines will have a fan that either pulls air across the radiator onto the engine or blows air back through the radiator. When that happens, it circulates whatever dirt happens to be in the air, too. Over time, especially in a dusty work environment like sweeping, it tends to clog the radiator core and the result is a loss in cooling efficiency. Regarding the actual cleaning of a radiator; in most cases, the best method is to use a steam cleaner or power washer. When you do this, be very careful that you don't bend the fins in the radiator. The purpose of those fins is to take the heat from the tubes and dissipate it into the air. If you hit them with a pressure washer and bend them in some direction other than horizontal, that in itself will restrict air flow. Even if the radiator's perfectly clean, bending those fins will restrict the air flow, and the result can be an engine that runs too hot. WORLD SWEEPER: What information do owners need to know about the fueling system to make it last longer? Ralph Metcalf: There is one thing that operators need to be aware of on the Isuzu C-240 engine, which is used on a number of sweeper models. [The C-240 engine is used on the Elgin Eagle and Schwarze S348-I.] On the inlet side of the fuel feed pump, there is what we call a 'banjo bolt' that secures the fuel line to the inlet side of that pump. Inside that banjo bolt is a strainer screen, and if any sort of rocks or leaves or rags or whatever get into the fuel tank, that strainer will catch them. We call it the 'rock stopper.' Just by virtue of doing its job by picking up big stuff, it can become clogged, which then restricts the flow of the fuel being pumped to the engine. Sometimes, the restriction can become so severe that the engine won't start because no fuel is being supplied to it. Todd Browne: If you're changing the fuel filter as part of your standard maintenance schedule, once you've got it off, you should invert it over a bucket. Of course, you're going to get fuel out of it, but what you're trying to see is if you have any droplets of water. If you do, it means the filter trapped the water, which is good, but it also means you've probably got water in your tank, which can be trouble. If you do see water, you need to get it out of there immediately, and you might want to consider getting your fuel from a different source. If it was my engine and I saw any indication I had water in my fuel system, I'd take every precaution and drain the entire tank. Water getting into the fuel injection pump can quickly ruin it. And, if you drain the tank and see sludge coming out, I certainly wouldn't add fresh fuel on top of it. I'd recommend flushing the tank with clean fuel until the drain flows free, then put the drain plug back in and fill the tank. WORLD SWEEPER: Would anyone care to sum up the highlights of what we talked about? John Henry: Routine maintenance is kind of like the muffler ad: "We'll get you now or we'll get you later." What I mean is that if you don't do preventive maintenance and routine service properly, down the line you'll have premature problems with your engine. On a sweeper, perhaps the worst routine service mistake that can be made is blowing out the air cleaner. Because of the dusty operating environment, sweeper owners seem to have trouble abiding by servicing only when indicated by the air flow restrictor, and then in doing what the air cleaner manufacturer says, at the intervals they recommend. Everybody builds a good engine, but how long it lasts is dictated by whoever services it. Thomas Williams: The main point is that people should give a little consideration to their engines. Perhaps because today's engines are so well built, people seem to forget about them and kind of take them for granted. Then, when an engine fails all of a sudden, they hit the panic button. The reality is that the auxiliary engine provides the heartbeat of the sweeper's power. That's a good reason to take care of it, because that machine is the owner's livelihood. Some people develop a regular maintenance schedule and actually mark the service intervals on their calendar. Preventive maintenance and regular service needs to become part of the business functions, just like the routine of making payroll, etc. Take the proper steps, and then keep a good record of what's been done. The last thing I'd like to mention is somewhat John Deere-specific. We've found that a few owners aren't aware that, on current model John Deere engines, there's a statement on the serial number plate that reads: "For engine service and parts, call 1-800-JD Engines." You have a choice between using either a John Deere agricultural dealer or a John Deere construction equipment dealer. To utilize that service, you need to know the zip code of where you're located. Another option for locating your nearest John Deere dealer is to visit our website: www.deere.com/jdpower/. When you need to get parts for an engine, it's a big help to have a record of the engine model and serial number. I'm sure that's true for all engines. Having that information in hand when you call saves a lot of time and you have a much better chance of getting the correct parts the first time. Todd Browne, Perkins Power Corp.
Todd Browne: Other than the four primary maintenance concerns - fresh coolant, clean air, clean fuel and clean oil - other routine maintenance includes keeping the fan belt or V-belt tightened properly and adjusting the valves once in awhile, as spelled out in the owner's handbook. That's pretty much it. If you take care of those basics, you should get the longest service life possible from your auxiliary engines, as well as from your primary chassis engines. Tommy Smith: There's no rocket science to this stuff, it's very simple. Just look for the obvious; it will be right out in front of you. You know what to look for: the loose bolt, the loose hose, etc. Make sure everything's tight, and that it looks like it did the last time you checked it. If you're running an engine 8 hours a day, in two weeks that's 80 hours, and it doesn't take long to reach servicing time. If you properly maintain your engines, they will last thousands and thousands of hours. Improperly maintained, they can be shot in a month. This article is reprinted from American Sweeper magazine, Volume 7 Number 2, 1999.